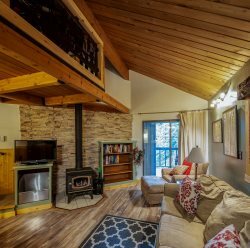 At Ptarmigan Village your vacation is our pleasure and we want you and your family to enjoy Northern Montana and its splendid beauty, and we know it all begins with your Whitefish Condo Rental at Ptarmigan Village. Please enjoy all the amenities as well as our indoor and outdoor pools, hot tub and dry sauna. You'll enjoy the beach at Whitefish Lake and hiking right out your door on 52 acres. Play tennis or fish for trout in the pond. Here's what others have said about their Whitefish vacation here at Ptarmigan Village. We had a brilliant week. The accomodation was roomy and comfortable. Felt welcome. People around Whitefish were very friendly. Good choice of restaurants. Will come again! We really enjoyed our stay. Perfect getaway from busy city life. We hope to come back. A wonderful honeymoon destination. Very nice place--wish I could stay longer! Nicest folks, super clean pool and spa. Beautiful weather, comfortable beds. Best vacation ever! It was affordable and we are very pleased! We are so happy with our stay. Great find on the internet. We will be back!! Beautiful surroundings and comfortable beds. We loved it. Hope to return in the future. We will totally come here again! Thank you so much for everything. We loved this place! Beautiful unit and beautiful surroundings. Thank you! Return guests, third time. Thank you. Beautifully kept and maintained. We loved the place! Would certainly come again ! We very much enjoyed Ptarmigan Village! Friendly people and gorgeous scenery. Our unit was beautiful. Had a great stay! Everyone I encountered was friendly and helpful. Great location and loved the hot tub & indoor pool. Thank you. We really enjoyed our stay! Thank you for everything. Keep up the great work. Hopefully we can come again. I am so impressed by the level of care put into Ptarmigan over the past few years. There are wonderful improvements being made in a very timely manner. The hot tub and pool are clean, well lit and secure. you folks have been doing a great job and it shows. Coming here is always the highlight of my year. Thank you.